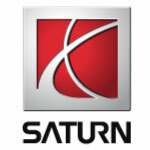 OEM Saturn parts and accessories are the only parts designed and engineered exclusively for your vehicle. Genuine Saturn parts and accessories are created by the same teams that manufactured your vehicle, so they are designed to fit, perform and wear exactly to your vehicle. At OE Auto Parts, we carry a complete line of Saturn parts and accessories in our warehouse in the center of the Inland Empire. Contact us today and get the part you need and the price you want. In January of 1985, General Motors launched the Saturn brand with the intent of creating a fuel conscious vehicle to combat the oil crisis that began in the 1970s. With a team of “99” designers, production team members, marketers, and others, the first Saturn hit the marketplace in the early 1990s. Early on the brand did well, earning award after award with respectable sales and intense owner loyalty. However, the end came on October 1, 2009, when Saturn production ended at all facilities after its budget was cut and GM filed for bankruptcy.